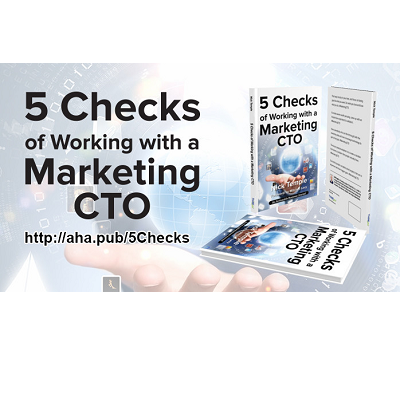 This week’s five AHAs are from the AHAbook® 5 Checks of Working with a Marketing CTO. Please share this URL “aha.pub/5Checks” in your social media status update to let your friends know about it. The Kindle version of this amazing book can be downloaded for FREE today, February 19th (Tue) until February 23rd (Sat). Don’t miss the opportunity to pick up this great content: https://amzn.to/2USRF1Q. As business people, we are extremely creative, with many ideas. However, not all of them can be profitable and successful. We need to make sure we are fully prepared before beginning large projects. How can we ensure that this idea is worth the investment of time and money? No matter what industry you’re in, success can be obtained with effective collaboration. The people whom you work with need to be those you can trust implicitly. You’ll love your job even more if you have someone to rely on to help you reach your goals—master technologists who are also business savvy. To see and learn how to automatically share AHAmessages from this book, you may check out this video: https://youtu.be/E7E8RD7xPwY. To know how to automatically share via AHAblaster, please watch: https://youtu.be/tlbd2tLXx3w. 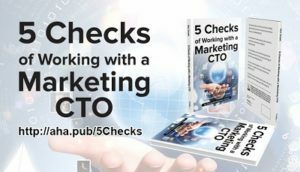 5 Checks of Working with a Marketing CTO is part of the THiNKaha series, whose slim and handy books contain 140 well-thought-out AHAmessages. Increase your online influence by picking up AHAthat®, and easily share quotes from this book on Twitter, LinkedIn, and Facebook via this link: http://aha.pub/5Checks. Hey, Did You AHAthat®? If not, you should. Get your free account and start sharing in seconds: AHAthat.